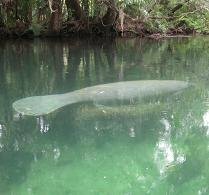 The Herald Tribune has an article discussing a new report from the Florida Fish and Wildlife Conservation Commission entitled "Wildlife 2060: What's at Stake for Florida?" According to the article, the report found that population growth will consume wildlife habitat covering an area of 7 million acres-equivalent to the size of Vermont-during the next 50 years. Species like the Florida scrub jay, burrowing owl and gopher tortoise will be at highest risk. Does your city or county have a local land acquisition program? Are roads in your community being designed and located to accommodate the needs of wildlife? Are you incorporating wildlife habitat conservation measures on your property? Does your community view the management of its green infra-structure in the same way it does upkeep and management of public roads, buildings or bridges? How does your community support prescribed burning of nearby public and private lands? How is your community conserving coastal forests, dunes, beaches and wetlands? How is your community safeguarding your region's water resources? Is your community protecting shoreline access and working waterfronts?